Might be that nobody really knows what jazz is anymore. Some think it’s a dowdy antique, while others are certain it’s a marriage of rap and hip hop. Neo-soul — and bastardized “funk” — are called “jazz” these days, too. Oh, and “original music”…or maybe anything with a dominant, repetitive back beat. More confusion exists in the form of the “can you dance to it” question. Few remember that jazz was the (initially outlawed!) dance music of several generations – early and big band swing – until it turned a bop-ish corner circa 1949-1954 and became rock ‘n roll. Nobody stopped dancing to it then, either. Eventually, the “artistic” bunch – Miles Davis, John Coltrane and the like – took jazz in yet another direction. THAT was followed by a fall from popularity for what we once knew as jazz, as dance floors all over America declined. It was mighty hard to compete with The Beatles and the rest of the British invasion. At least we still had our Audrey Hepburn, Fred Astaire, Benny Goodman and Glenn Miller movies! As the Twentieth Century progressed, the Beach Boys, The Mamas and the Papas – and many more – added production techniques to their recordings. Most would say they weren’t jazz artists. Certainly, they derived influences from various forms of jazz…and from the composers who came before them. 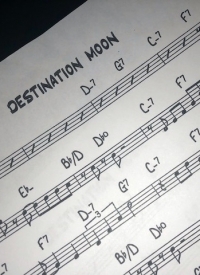 Louis Armstrong, The Boswell Sisters, Bing Crosby…Frank Sinatra, Tony Bennett, Michael Buble…”bending” a tune a bit…improvising so well that you’d swear it had been rehearsed…it’s all jazz. Along with what the great early composers penned for Broadway – most of which was written as a form of jazz. Pre-Phantom of the Opera, of course. It survives, this jazz that you can dance to. And while Thelonious Monk is not really jazz you can dance to, Duke Ellington certainly is. Jazz…can be anything you want it to be. Hopefully, the arguments will go on for another century!